Home visits are both extremely rewarding and beneficial for us to provide for you. This is our way of reaching out to educate and assist you on any issues that are happening in the home. From Great Danes to Chihuahuas, we are willing to work with any breed. The goal of the home visit is to show you how to build a healthy relationship based on pack behavior, so that you may understand why your dog may be acting the way they do and how you can go about managing the situation. The important concept that we want you to gain from a home visit is that it is not always the case of “fixing” a problem, but more importantly about identifying the issue and what is causing that specific action. We will provide you with tools and knowledge on how dogs think and respond; therefore, giving you ways to manage and improve the situation. From our experience working with the public’s dogs, we can safely say that 90% of the behavioral issues that cause these problems are created by the people. Through education we will provide you with the confidence in your ability to better handle your dog in your home. In 2011 we started to offer the Hay Creek Kennel Mentor Program for those of you who are looking to learn more about the process of training and working with dogs. This is an intense and in-depth experience where you can not only learn the process of developing a bird dog, but also the extra work that goes into making a facility such as Hay Creek Kennel run efficiently. Throughout your stay, you will be working with your personal dog(s) along with the other dogs that are at the kennel. This is a great way to gain exposure handling different breeds and getting to know the unique personalities that come with each individual dog. We will also explain the mental side of our training program and how we believe these techniques benefit the dogs. The days are long but the work is rewarding if you have the desire. The minimum required stay for the Hay Creek Kennel Mentor Program is one week; however you may do multiple weeks. Housing is available upon request. You're going out of town next week and need to drop off you dog before you go. However, your kid has a soccer game on Thursday, you have yoga on Friday and your spouse works full time. How can you drop off the dog? 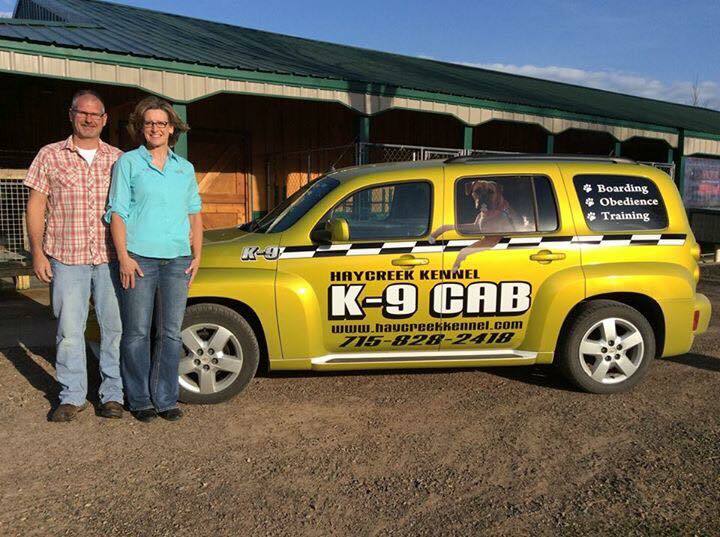 Hay Creek Kennel offers a K-9 Cab for customers boarding, grooming or training at the kennel. We will pick up your dog and deliver him back to you at the end of their stay.